The 2018 COMPASS Research Group Spring getaway day took place on June 15th, on the Oudinot Garden of Aveiro. The highlight of this event is the (2nd) “Out of the box” poster presentation where each researcher shares some idea of a scientific project with the team, followed by a picnic. 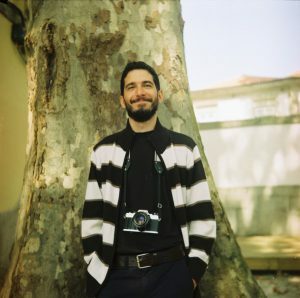 We are proud to announce the photography exhibition by Paulo Laranjeira that captured some unique moments of that day using his film camera. The exhibition will be open on June 28th at 11:00 am, 3rd floor of Building 29. Everybody is invite for the opening or to freely see the photos until July 5th.